Brattleboro, Vermont is nestled along the Connecticut River in southern Vermont and they have a Gallery Walk the first Friday of every month in the evening. We wandered that direction this past week to check it out for the first time. Interesting place. The town certainly comes alive with music, food, art and politics and the streets were full of people. We wandered in and out of show spaces and galleries, and as with any art event, we saw things we liked and things we didn't. The highlight of the town for us was the Vermont Artisans Designs Craft Gallery (we always love good American Contemporary Crafts) and their newer Gallery 2 on the second floor. 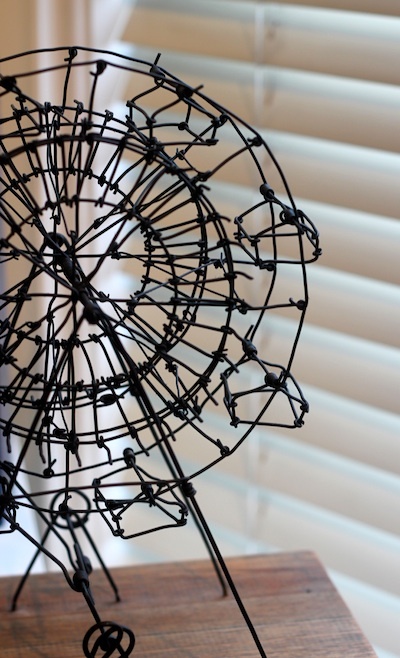 It was on the second floor that we found the work of two kinetic sculptors that we had not seen before, both working in wire. Bruce Campbell's work was hand powered and whimsical. 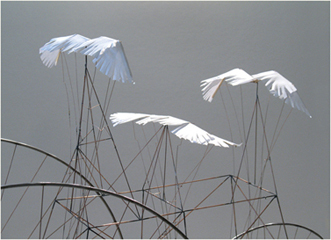 Also on display were the winged sculptures of David Lang. 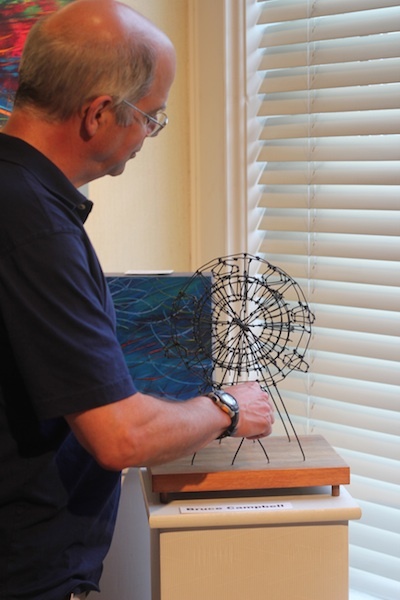 His work is powered by electricity and activated by an electric eye sensing the presence of a viewer nearby. It was all about watching the wings move. Below is a video of the artist talking about his work from several years ago. There is some great footage of the wings in motion. David and I are always on the look out for exposure to creativity and evenings such as this one are great places to see lots. Experiencing the creativity of others is one of the greatest inspirations in our own work. 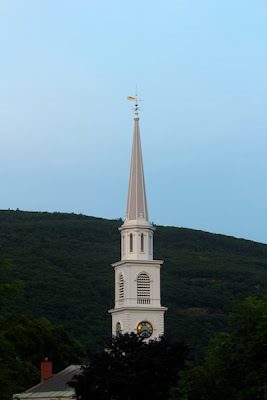 We had a great butternut squash and pesto pizza at The Fireworks in downtown Brattleboro to end the evening and then headed back to Connecticut. Thank you for this lovely write-up and photos! 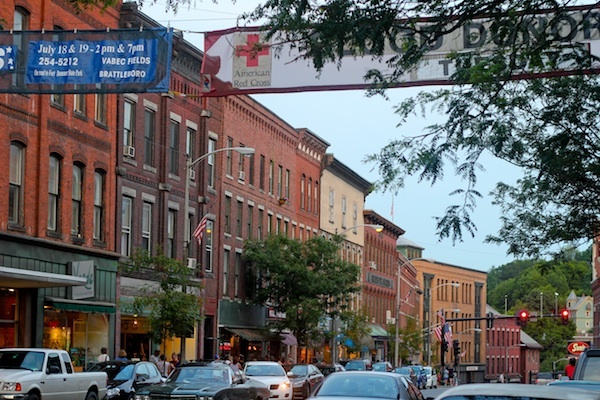 The Gallery Walks are a great way to find new artists and enjoy a stroll through a truly unique, historic downtown. We've shared it on our Facebook page, and hope to have you join us again soon! Hi, Thanks for visiting Vermont Artisan Designs during your tour of Brattleboro. 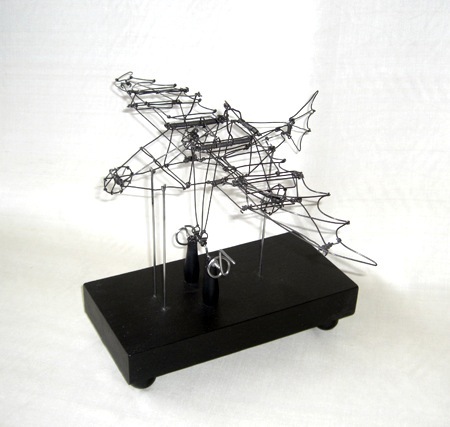 Glad that you enjoyed the kinetic sculptures of Bruce and David! There are new featured artists each month and you're invited back to see more of them. Please introduce yourselves next time; would love to learn more about your kinetic art, too.